Within the constraints of its resources and resource allocation, ISD has always tried to live up to the expectations of its stakeholders. The available facilities in the school are a testimony to the success of this endeavor. 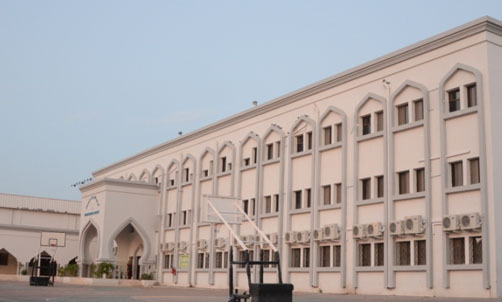 The school provides excellent quality infrastructure facilities to students, comparable with what any good school may offer. 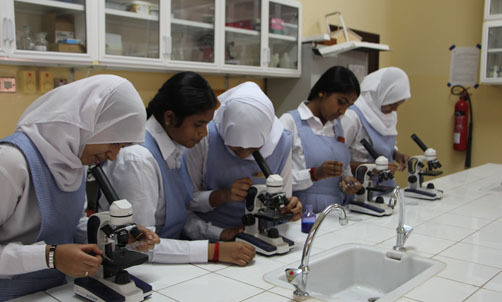 The science laboratories, including Physics, Chemistry and Biology, are fully equipped and well maintained. 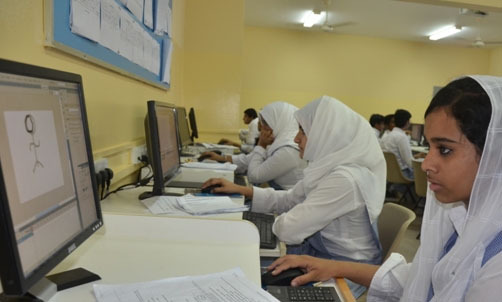 In line with our overall ICT initiatives and e-learning facilities, our Computer Science labs are state-of-the-art and provide one computer per child. The school libraries-primary and senior, have a good collection of books of all genre, reputed newspapers and the latest informative magazines and periodicals. 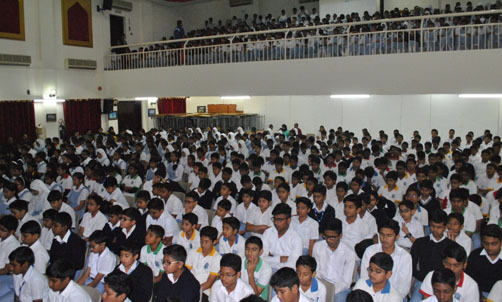 The school is equipped with a large 700-seat auditorium. Within the classrooms, split air-conditioners and white boards make learning an enjoyable experience. State-of-the-art 46" LED television monitors, in all the 72 classrooms, makes learning a fun experience. The school has limited space, but within this a separate basketball court, volleyball court, cricket pitch (nets) and an indoor badminton court has been provided for the children. 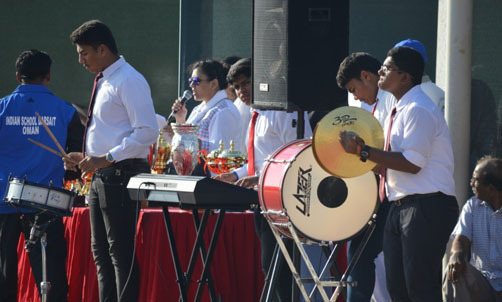 Systematic training, including coaching after school hours in sports and games has enabled our students to compete at the inter-school level in Oman and national level in India. Information and Communication Technology is the need of the hour and plays a pivotal role in moulding the 21st century youth. In its vision, the national Policy on ICT in School Education by MHRD Govt. of India states “The ICT policy in School Education aims at preparing youth to participate creatively in the establishment, sustenance and growth of a knowledge society leading to all around social economic development of the nation and global competitiveness”. 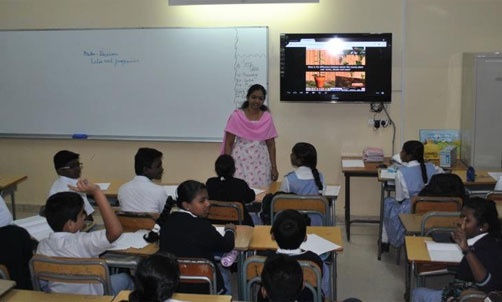 In line with the CBSE requirement that makes ICT enabled teaching learning mandatory, Indian School Darsait has equipped all classrooms with LED Televisions to facilitate digital instruction, to provide adequate exposure to the digital materials, to motivate and sustain student interest, to reinforce learning, and to create high-interest learning environment. Own Your Laptop & iPad Schemes introduced for teachers have also motivated them to actively participate in converting the ordinary classrooms into digitized ones. Teachers have mastered the use of these machines and employ them with ease to create interesting and effective teaching learning tools. They are also involved in preparing digital teaching aids that can be preserved for future use. The digitization of administration and academic work was the outcome of the prudence of the SMC and the School administration. The software package “Digital Campus” came in vogue and has established connectivity between the school administration, teachers, students, parents, alumni and external mentors through a common ICT platform. Training programmes, organized for the entire staff in different groups, has assisted them in mastering the use of Digital Campus that has increased their efficiency and skill. The entire process and procedure of the school like admission procedures, entry of library books, daily attendance, marks entry, result processing and analysis have been made easy and effective. The software will now enable the parents to check the attendance and performance of their wards at the click of a button from anywhere in the world. Parents can easily access online, data like status of fee payment of their wards, profile of their wards, lists of their wards’ teachers and the grades and remarks obtained by their wards in scholastic and co scholastic areas. 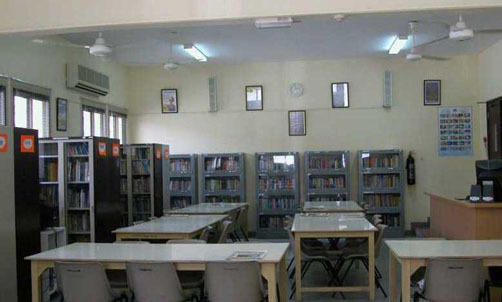 ISD has three state-of –the-art computer labs, two in the senior section and one in the primary section. As part of computer education for all the students from class I to XII, each child has an access to a computer in the lab. The senior lab caters to the training needs of Computer Science and Multi Media and Web technology electives in Senior Secondary Classes. The lab is equipped with latest systems of high-end configurations and applications like Adobe Creative Suite. Students, as part of ICT club activities and projects, do all digital designing needed of the school activities and publications. ISD Chemistry lab is equipped with the apparatus, chemicals and experimental set ups for children to safely explore the mystery of chemical reactions. Qualitative and quantitative chemical analyses are carried out in a highly disciplined environment and all safety measures are adhered to based on a quality control process. The complex and abstract concepts are converted to concrete experience through carefully designed experimental modules. 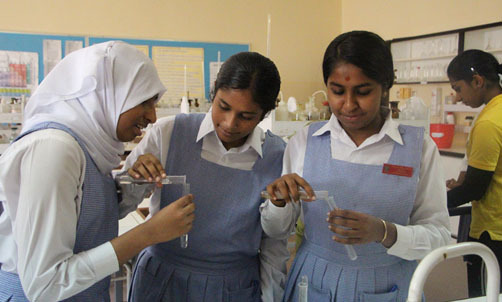 The scientific method is practiced by the students in a supportive and controlled environment of our physics lab equipped with much more instruments than the curriculum demands. The lab also has an excellent telescope contributed by the alumni for students to explore the night sky. Exploring the invisible kingdom of mysterious microbes is the best attraction in our Biology lab. To make this possible, the lab is equipped with the most modern student compound microscopes, which give them clear images of the micro world. Another attraction for biology students is exploring the human body. In our Bio lab they get an opportunity to explore various organ systems like the skeletal system. Many experiments are performed as part of learning the scientific method and children always wonder what life is all about!